February 27, the German parliament voted by a large majority to support the French colonial war in Mali. 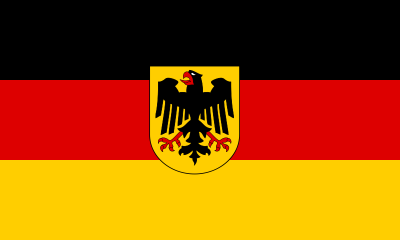 In April, up to 330 German soldiers are to be stationed in that country. According to the commander of the EUTM mission, General François Lecointre, the military trainers from the EU will commence training more than 2,500 Malian soldiers beginning April 2. The aim of the mission is to stabilise the ailing Malian army and enable it to support the combat mission conducted by French troops in the north of the country. About one year ago and before the French invasion, the Malian army had been driven out of the region by a coalition of Islamist rebels and Tuareg warriors. The second mandate involves an additional 150 soldiers to logistically support the combat mission of the French Air Force. The plan is to use an Airbus to refuel French Rafale and Mirage fighter jets in the air. In addition, 63 soldiers and three Transall planes will continue to transport French combat troops and troops from the Community of West African States (ECOWAS) to Mali. In January, shortly after the beginning of the war, the German army commenced logistical support of combat French and African troops, without a mandate from the German parliament. Since then, the Transall planes have transported some 570 soldiers and about 290 tons of material in 117 flights carried out in the area of operation. Officially, the Bundeswehr missions in both Mali and Afghanistan have been justified with the alleged “war against terrorism”. The reference to “terrorism” by imperialist powers to justify their colonial wars is hypocritical. The same Islamists active in northern Mali were in 2011 important allies of Western powers in their campaign against the Libyan regime of Muammar Gaddafi. Now, these powers and their regional allies are backing similar reactionary forces in Syria to overthrow the regime of Bashar al-Assad, and install a pro-Western puppet regime. In reality, the wars in Mali and Afghanistan have nothing to do with a “struggle against terrorism,” but are rooted in definite geo-strategic and economic interests. The latest military campaign in Mali is part of the imperialist campaign for a renewed colonial subjugation of Africa, which began with the NATO war against Libya two years ago. In common with the entire Sahel region, Mali is rich in natural resources. The major imperialist powers are seeking to secure these resources in an increasingly aggressive competitive race with China, which has close economic ties with Mali and other countries in the region. After hesitating to participate in the Libya campaign, the German bourgeoisie is determined to gain a share of the spoils in Mali. German companies have made clear they intend to join the race for raw materials in Africa. A long and detailed report last week in the German business newspaperHandelsblatt made clear that the German business and political elite are preparing to intensify their capacity to wage wars to secure the resources so necessary for the German export industry. The article lists China as one of Germany’s biggest competitors in this race, and explicitly identifies North Africa as one of the most strategically important regions in this respect. A particularly cynical role in the return of German imperialism is being played by the Left Party. Well aware that the motion would be passed overwhelmingly, the party voted against for tactical reasons. The readiness of the Left Party to support military intervention in the interests of German imperialism was already clear from the position it took towards the Western aggression against Syria. In December of last year, leaders of the party backed an appeal for an intervention in Syria. The statement was also supported by the leaders of the CDU, the SPD and the Greens.